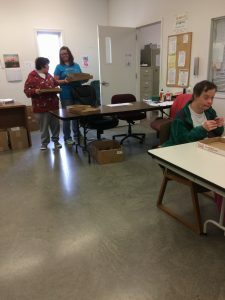 Our Supported Employment Program provides supported employment services to agency consumers and community individuals referred by the Office of Rehabilitations Services in developing employment preparation skills and attitudes for seeking and securing employment. Sixteen years or older or age appropriate as determined by the individuals IDT. Referred by Department of Human Services/Office of Rehabilitation Services or consumers IDT.